Corn is one of the most important staple crops in the world—over 1 billion metric tons of corn are harvested each year, comprising 37 percent of the global cereal production. Corn production occupies an estimated 188 million hectares—roughly the size of Mexico—and utilizes 13 percent of the world's arable land. Because of this, there is a vested interest in keeping corn healthy. Corn leaves are teaming with bacteria communities (the leaf "microbiome") that influence plant health and performance, and scientists are still figuring out how. 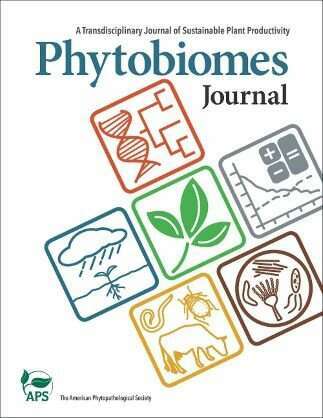 A team of scientists led by Dr. Jason Wallace recently published a study in the open access Phytobiomes Journal that advances what we know about these bacterial communities by investigating their relationships with corn genetics. According to Dr. Wallace, "the end-goal of all this research is to understand how crops interact with their microbial communities so we can harness them to make agriculture more productive and sustainable." In one of the largest and most diverse leaf microbe studies to date, the team monitored the active bacteria on the leaves of 300 diverse lines of corn growing in a common environment. They were especially interested to see how corn genes affected bacteria and found there was little relationship between the two—in fact, the bacteria were much more affected by the environment, although genetics still had a small role. This is an interesting discovery that "breeding probably isn't the best way to address this," Dr. Wallace says. Instead, "the leaf community is probably better changed through farmer management." That is, farmers should be able to change growing practices to enhance their current crops rather than seek out new plant varieties. Going forward, Dr. Wallace suggests research into the functions of these bacterial communities, and then combining this knowledge to full systems-level understanding of the leaf community may enable development of beneficial management practices for farmers.